A leading expert in breath-hold diving physiology, Professor Zeljko Dujic, M.D., Ph.D., is head of the department of integrative physiology at the University of Split in Croatia. He graduated from the University of Zagreb School of Medicine in 1983 and received his doctorate from the Medical College of Wisconsin. 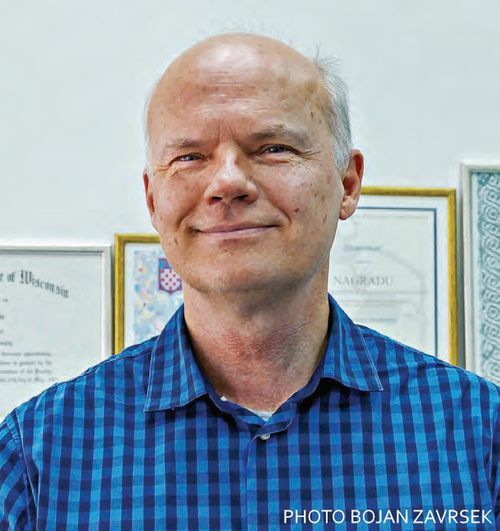 Over the past few decades Dujic has been a member of several scientific committees in Croatia and has taught physiology at the University of Split School of Medicine full time since 1988. He is also in charge of the university’s evidence-based-medicine doctoral study program and coordinates the international doctoral program. He and researchers at his laboratory have published numerous highly esteemed scientific papers on breath-hold diving and scuba diving. To help commemorate Dujic’s 30th year at the University of Split, we met with him to discuss his research. What sparked your interest in dive research? Split University Hospital used to be a military hospital, and then the main focus was on navy divers and saturation diving in the commercial diving industry, so my research began in those areas. In 1992 the hospital became civilian and was integrated into the University of Split. When the source of funding and the availability of the hyperbaric chamber changed, so did our research questions. At that time, dive research in Europe appeared to be fading: Commercial diving had previously sponsored dive research for many years, but research funding declined along with the industry. To expand our efforts despite these trends, we reached out to some excellent people in the field and started working with a group under Professor Alf Brubakk from Trondheim, Norway. A few doctoral students from Norway worked with us on bubble measurements, taking echocardiographs of scuba divers before and after dives, with and without exercise. Some of your most cited dive research focuses on exercise physiology, and your team has examined the effects of physical exercise before and after diving. What advancements do you hope to achieve with your findings? It is still difficult to assess the personal risk of someone developing decompression sickness (DCS) after a dive. We have focused on bubble grades, and it is still commonly accepted that high bubble grades after diving correlate with a higher risk for DCS. We found that high-intensity interval training up to two hours before the dive seems to reduce bubbles after the dive, while exercise after a dive increases bubble grades. It is important to understand that being a “high bubbler” is one risk, but the personal risk increases if the diver has right-to-left-shunting pathways. The best known of these shunts is a patent foramen ovale (PFO), but we have also shown that people can have lung shunts, also called intrapulmonary arteriovenous anastomoses (IPAVAs). In some divers these IPAVAs open more easily than in others — in some cases with little workload or even while resting. We assume that not only the heart and the lungs have these shunts but also that every organ in the body has a kind of shunting mechanism that allows blood, and therefore bubbles, to pass from the venous to the arterial side. A standard test battery to determine if a diver has a higher risk for postdive bubbles doesn’t yet exist, but this might be one step on the way to personalized decompression. You speak about high and low bubble grades, but in your experiments you found that some divers never bubble and some always do. Can these two cohorts of bubblers and nonbubblers be used as a model to study? Those two groups are indeed interesting. In our experiments most divers were inconsistent, but 15 percent of the divers never bubbled, and another 10 percent always bubbled. Of the volunteers who dive for us, we can easily isolate a group of all bubblers if we want to test a mechanism, such as exercise, that may reduce bubbles. We cannot currently explain the difference between bubblers and nonbubblers, and this remains a question of great interest in the dive community, as it seems to be multifactorial. It is likely influenced by the condition of the endothelium (which lines the inner walls of the blood vessels), the immune system and genetic predisposition, among other things. Different groups are investigating these factors, and so far the results have been inconclusive. In the past few years your focus has shifted more toward breath-hold diving. What attracts you to that area of study? Breath-hold diving is unique, and that is a big advantage. You must find your niche — something that no one else is working on. We accidentally found this breath-hold niche when talking to some aging spear-fishermen. They wanted to know more about their activity, and no other laboratories have gone to the depth of understanding physiological variation in breath-hold divers. Having this niche also means we can get published in very good journals. Our model attracts scientists from all over the world who want to collaborate in different fields of integrative human physiology. These groups usually come to Split for a few weeks to do experiments with our divers, and they often bring a few young researchers to the team. Some of these young doctoral students have stayed in the field and are still collaborating with us. Apnea is voluntary hypoxia (lack of oxygen), and the brain is the most susceptible organ to hypoxia. What happens in the brain if someone does a seven-minute breath hold? During apnea we see different phases, starting with hypotension and markedly reduced cerebral blood flow sometimes leading to unconsciousness, ending with a high cerebral blood flow (up to a 70–110 percent increase from the baseline), a 30–40 percent increase in blood pressure and extreme hypoxia going to arterial saturation below 70 percent. When the brain goes into this hypoxia it is almost like entering a kind of hibernating state. Scientists generally assume that the brain is protective against this kind of hypoxic stress, but it might not be protective enough. People whose brains are not gradually acclimatized to this stress will not survive a breath-hold of this duration. With different collaborators we are investigating protein/neuronal adaptations during such extreme physiological stress. To see how the nervous system is reacting, we use an invasive technique to measure sympathetic tone (a stress response that can increase heart rate and constrict blood vessels) in the spine. We observe a sympathetic neuroactivation in long apnea phases where recruitment shifts from smaller to larger neurons. This is comparable to muscle recruitment during exercise, where we start with red muscle and then gradually recruit white muscle fiber. Interestingly, this change in sympathetic tone is similar to what happens in patients with chronic heart failure, which does not have any reliable early indicators. What we learn from this research with our voluntary breath-hold divers can potentially be used to help severely sick patients in cardiology. 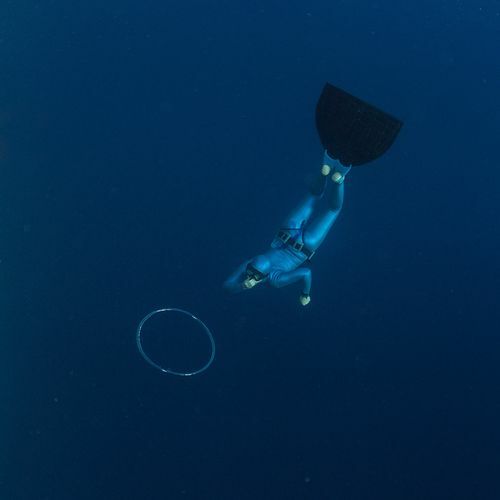 Breath-hold divers, especially the world-record athletes who work with you, are a very small community, but your research now covers a much broader field. How does your research translate to other fields of medicine? We found that a lot of what we see in breath-hold divers can be translated to serious diseases such as obstructive sleep apnea, which has no early warning signs. People who suffer from end-expiratory obstructive sleep apnea are usually resistant to medication for arterial hypertension. When they stop breathing during sleep, their oxygen saturation rapidly declines — sometimes to 50 percent within 30 seconds. What we learn from our group of apneists might translate to millions of patients with this disease. There are also connections to people with Type II diabetes, because they can suffer hypoperfusion, or reduced blood flow to the brain, just like we see after several minutes of apnea. In apnea this condition is obviously reversible, but when we studied this reduction in cerebral blood flow we found that the brain started producing more ketone bodies — molecules that are produced when the body switches from breaking down carbohydrates to breaking down glucose as a major energy source. This process seems to increase blood flow to the brain by approximately 30 percent. Looking at this increased blood flow due to higher ketone levels, a supplementation with ketones might be a valid intervention for stroke patients as well, where we find about a 30 percent decrease in cerebral blood flow. In the end it all seems to come down to the brain as a main coordinating organ in the body. Where do you see the focus of dive research — both scuba and apnea — in the next 10 years? checkup exam, be it shunting mechanisms or components in the blood and immune system. Divers could be tested for their predisposition to producing bubbles in a few standardized test dive profiles. These developments could lead to personalized recommendations on how to avoid high bubble grades and dive conservatively. As people get older and still want to dive, we should study more about the effects of aging. We also don’t know much about women and diving, because most research has been done with military divers, who were exclusively men in earlier years. For only a very few days during the menstrual cycle — in the early follicular phase — can the physiological responses of women be compared to those of men, therefore our window to conduct comparative research is shortened. Another topic of interest is children who dive; more children are now becoming divers, but their physiology under pressure in water is not well-studied. In research for breath-hold diving, more neuroimaging will likely be done before, during and after apnea. More field research is necessary to gather more data during the actual dives and to study mechanisms that we cannot simulate in the lab, such as heart-rate changes due to the mammalian dive reflex, the fatiguing mechanisms in respiratory and other muscles, the effect of repetitive dives, the mechanic force on the thorax under pressure and how all of these items affect brain function and perfusion. With so many items on your to-do list, do you still make time to get in the water for fun? Do you have other hobbies that can distract you from work?